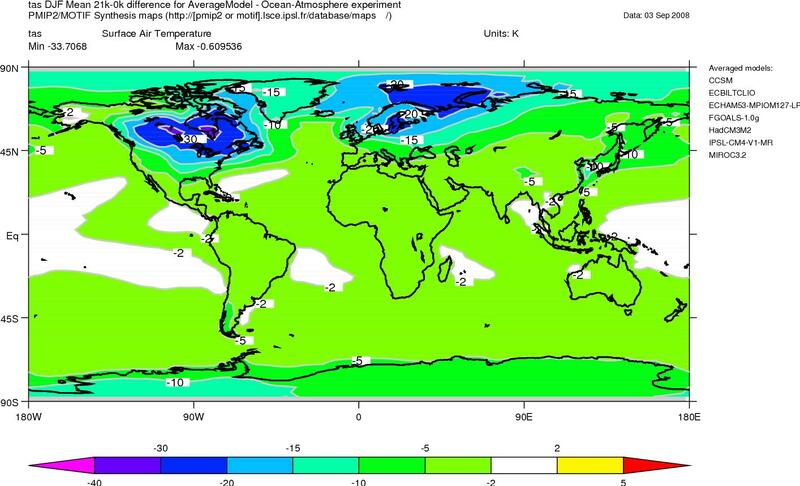 Is there a rough formula to figure out what the climate of a city (modern day) would have been like during the last ice age? I assume that areas closer to the pole would be affected disproportionately due to the ice sheet. I'm more interested in subtropical and tropical regions. I don't think there are consistent patterns of change, it'd vary depending on location, though perhaps the tropics had a consistent change. Buried vegetation / chemistry data is the only record, and they're patchy. 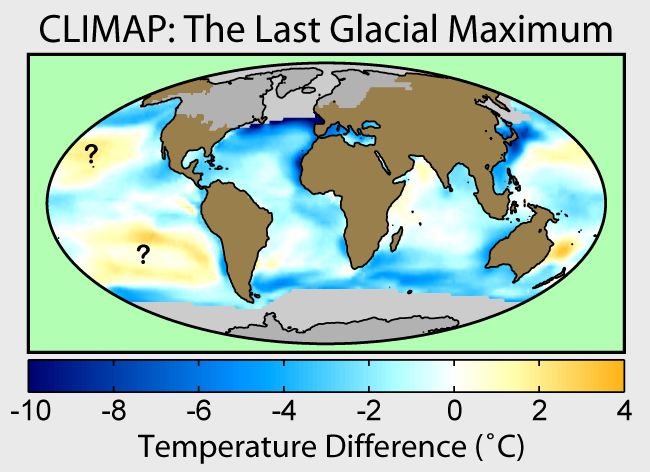 Combining with climate models would give a rough idea. I'll do an internet search. 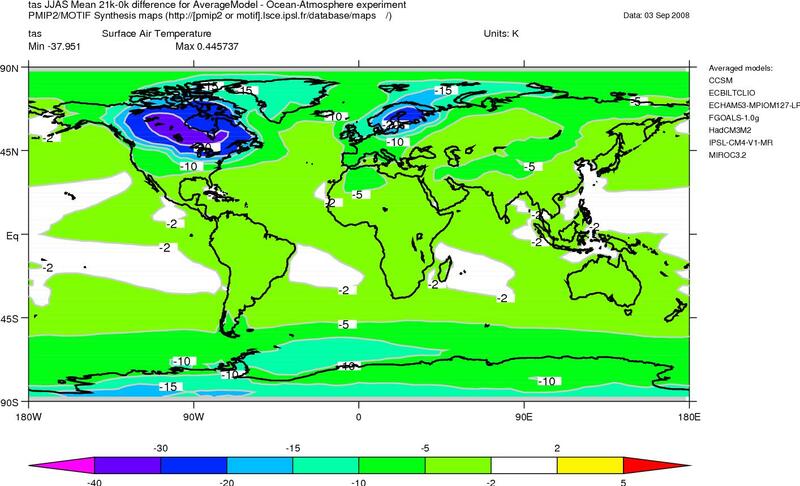 The subtropics would likely have very different weather patterns, as there would be a much stronger north-south temperature gradient. Stronger storms, but less moisture available. The warming in some spots is a bit bizarre. I think it was -70c. Tbh i think it would be liveable. Chart of global temps over the years.